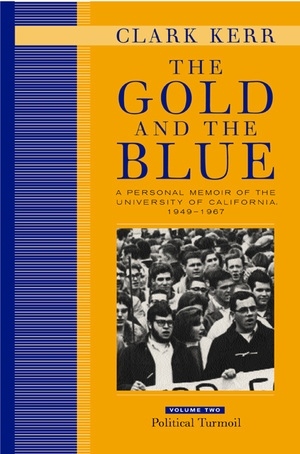 The Los Angeles Times called the first volume of The Gold and the Blue "a major contribution to our understanding of American research universities." This second of two volumes continues the story of one of the last century's most influential figures in higher education. A leading visionary, architect, leader, and fighter for the University of California, Clark Kerr was chancellor of the Berkeley campus from 1952 to 1958 and president of the university from 1958 to 1967. He saw the university through its golden years—a time of both great advancement and great conflict. This absorbing memoir is an intriguing insider's account of how the University of California rose to the peak of scientific and scholarly stature and how, under Kerr's unique leadership, it evolved into the institution it is today. 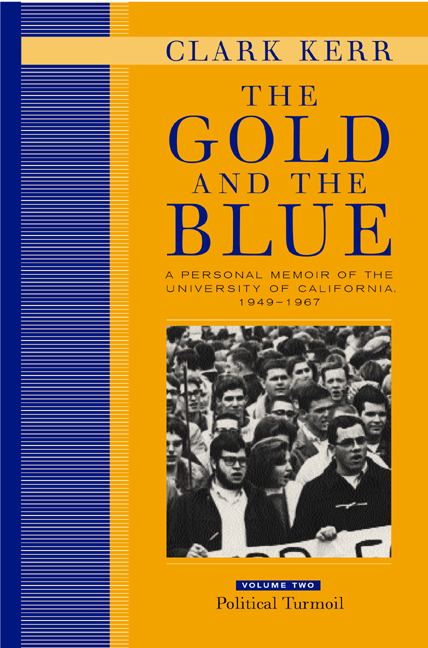 In Volume II: Political Turmoil, Kerr turns to the external and political environment of the 1950s and 1960s, contrasting the meteoric rise of the University of California to the highest pinnacle of academic achievement with its troubled political context. He describes his attempts to steer a middle course between attacks from the political Right and Left and discusses the continuing attacks on the university, and on him personally, by the state Un-American Activities Committee. He provides a unique point of view of the Free Speech Movement on the Berkeley campus in the fall of 1964. He also details the events of January 1967, when he was dismissed as president of the university by the Board of Regents. Clark Kerr (1911-2003) was President of the University of California and a giant in public education. His books include The Uses of the University (1963; 5th edition 2001), Higher Education Cannot Escape History (1994), Troubled Times for Higher Education, 1960-1980 (1994), and The Great Transformation in Higher Education (1991). 16. The Last Day—Losing Big or Winning Big?